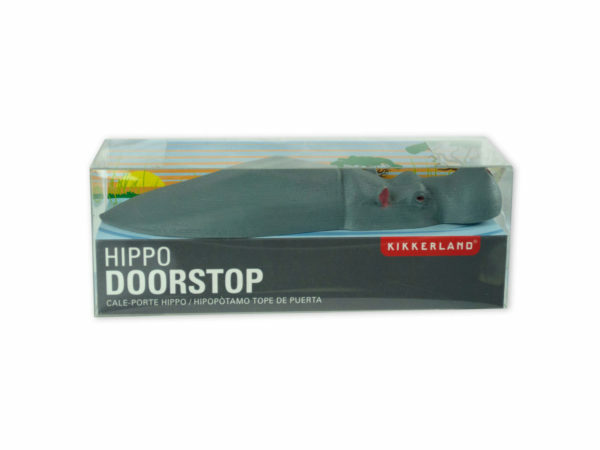 Keep the door open with this adorable doorstop-potamus! This movable doorstop can be used with doors that have a clearance of 1/4 to 7/8. 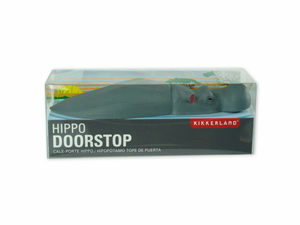 The doorstop made of rubber and it is approximately 7" in length. Comes packaged in a plastic box.